The number of infants born with microcephaly (abnormally small heads) in Brazil, believed to be caused by an outbreak of the Zika virus, continues to escalate. Brazil’s health ministry reports that there have been approximately 3,893 microcephaly cases since October of 2015—that number was listed as 3,500 is last week’s report. 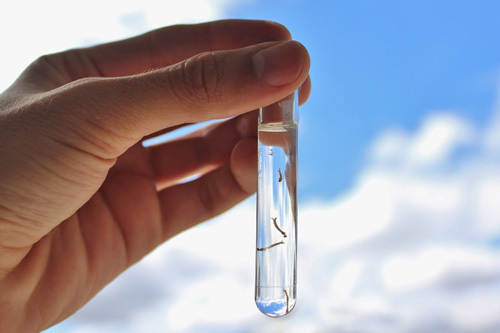 The Zika virus is transmitted by the bite of the Aedes aegypti mosquito and can cause anything from fevers and headaches to birth defects and intellectual disabilities. With microcephaly, an infant is born with a head size that is 42 centimeters smaller in circumference than that of a normal infant. In the U.S, 25,000 babies suffer from microcephaly each year. The outbreak in Brazil is giving health officials concern. Brazil’s Health Minister Marcelo Castro says new testing is being developed to help quickly identify the virus. More funds are also being put into finding a vaccine for the Zika virus. Castro is hoping the extra funds will speed up the process. Brazil isn’t the only country struggling with Zika. Columbia has over 13,500 reported cases, second only to Brazil. Colombian Health Minister Alejandro Gaviria Uribe is advising women to not get pregnant until the outbreak is contained, which is expected to happen sometime in July. The Centers for Disease Control and Prevention in the U.S. is warning pregnant women to postpone travel plans to Brazil, Rio de Janeiro (Rio is hosting the Olympics in August) as well as other Latin American and Caribbean countries due to baby birth defects that can potentially be caused by the Zika outbreak. Of course, there are many other viruses worldwide that are responsible for birth defects, but the Zika virus is unique in having a travel notice. Zika originally appeared to be mild before scientists discovered the potential link to microcephaly. It doesn’t help that approximately 80% of people who are infected with Zika don’t show symptoms, yet they can stil be carriers of the disease and infect mosquitoes that bit them (passing on the virus). Thankfully, symptoms are mild and typically pass within a few days. But—as with most defect-causing diseases—the highest danger is to pregnant women in their first trimester who may not even know they are pregnant. “Brazil Zika outbreak: More babies born with birth defects,” BBC web site, January 21, 2016; http://www.bbc.com/news/world-latin-america-35368401.